Exelon Generation says it will close the Three Mile Island Unit 1 nuclear plant unless state policymakers come up with a rescue plan to compensate nuclear energy for its clean-energy contribution. The Pennsylvania House Consumer Affairs Committee on Monday held the first of four planned hearings in Harrisburg about a proposed $500 million rescue for the state’s nuclear industry. The committee heard from four advocates for contentious House Bill 11, and four opponents of the rescue, introduced last month by Rep. Tom Mehaffie (R., Dauphin). A similar measure was introduced by Sen. Ryan P. Aument (R., Lancaster) in the upper chamber last week, Senate Bill 510. The committee has scheduled additional Harrisburg hearings at 9 a.m. April 15 in the Main Capitol, at noon on April 29 in the Ryan Building, and May 6 in the Main Capitol. Both the Senate and the House proposals would amend the state’s 2004 Alternative Energy Portfolio Standards Act (AEPS) to add a category of zero-emission power reserved largely for nuclear producers that would supply 50 percent of the state’s electricity demand. Electricity customers would pay for subsidies to the nuclear generators, as they do now to alternative-energy producers that supply almost 18 percent of the market. The General Assembly will need to act in the next few months if it wants to avert a threatened closure of Three Mile Island Unit 1, which owner Exelon Generation says is losing money. Critics say the state’s other nuclear power plants are still profitable, and the rescue would unnecessarily increase earnings of nuclear power producers and diminish competition. The committee on Monday heard from bill supporters, including former Gov. 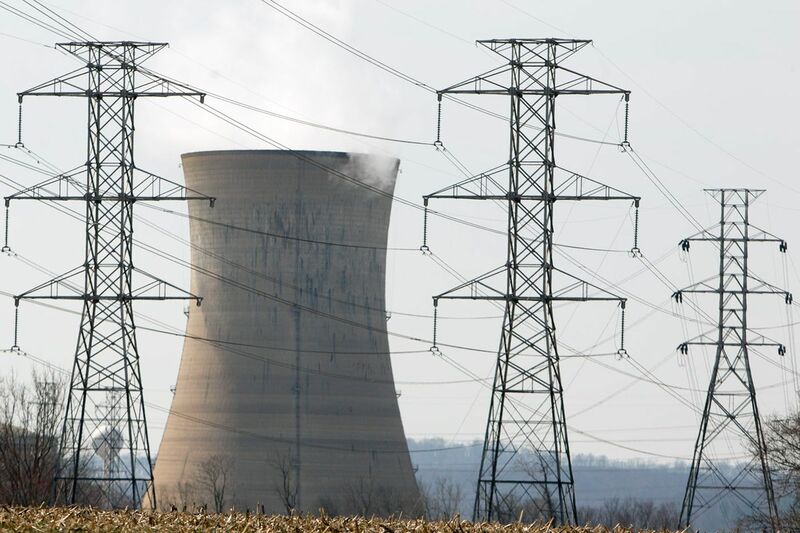 Tom Ridge; Mike Pries, a Dauphin County commissioner; Steve Brame, a spokesman of the Pennsylvania Rural Electric Association; and David Griffing, vice president of FirstEnergy Solutions, which says it will shut down its Beaver Valley nuclear power plant in 2021 without support. The opponents included Kevin Sunday, spokesman for the Pennsylvania Chamber of Business & Industry; Glen Thomas, a former chair of the Pennsylvania Public Utility Commission; Todd Snitchler, a marketing vice president of the American Petroleum Institute; and Desiree Hung, the AARP’s Pennsylvania advocacy director.